CTK Investigations can provide a complete search of telephone numbers anywhere in the world. We can trace - reverse trace any phone number. Cell phone information is added to our databases daily. We offer a no hit - no pay policy. That means if we are not able to provide you with any information, we do not charge you. Call Cory Knight or any of our phone forensics / tracking experts today at (954) 652-0733. 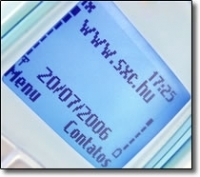 >> Phone traces 800/888/900 numbers, etc.